Want to learn how to invest like entrepreneur Elon Musk? Read his strategies for thinking outside the box and taking on big challenges. 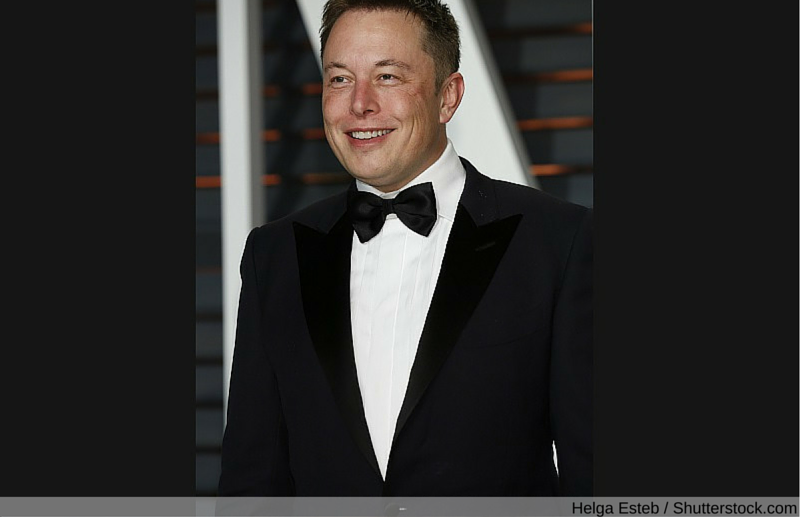 Elon Musk is considered by many as one of the world's most influential businessmen for the ground-breaking industries he is involved with: space, electric cars, and e-commerce. This billionaire entrepreneur is helping to propel America into the future. SpaceX: This aerospace manufacturer designs, manufactures and launches advanced rockets and spacecrafts. It's the only private company to attach to the International Space Station, exchange cargo payloads and return safely to Earth. Tesla Motors (NASDAQ: TSLA): This is the biggest electric car automaker in America and Musk is the CEO. The company designs, manufactures, and sells electric cars, electric vehicle powertrain components, and battery products. Tesla had been trading at $241.43 per share in late August. PayPal (NASDAQ: PYPL): The online payment system has revolutionized e-commerce. PayPal was acquired by eBay in 2002 for $1.5 billion in stock. Musk's net worth is $13.2 billion. He is No. 15 on the Forbes list of the world's richest billionaires. When he speaks, people listen. We felt compelled to create patents out of concern that the big car companies would copy our technology and then use their massive manufacturing, sales and marketing power to overwhelm Tesla. We couldn't have been more wrong. The unfortunate reality is the opposite: Electric car programs (or programs for any vehicle that doesn't burn hydrocarbons) at the major manufacturers are small to non-existent. It is impossible for Tesla to build electric cars fast enough to address the carbon crisis. We believe that Tesla, other companies making electric cars, and the world would all benefit from a common, rapidly evolving technology platform. Investors seeking to follow in Musk's footsteps can look for green or socially responsible investments that typically put money into companies with superior social, human rights, and environmental practices such as the exchange-traded fund iShares MSCI USA, which has exposure to socially responsible U.S. companies. Likewise, MSCI ESG Select Index was designed to maximize exposure to positive environmental, social and governance factors. SpaceX, founded in 2002, has 50 launches in its manifest and close to $5 billion in contracts. The company has developed the Falcon 1 and Falcon 9 launch vehicles, and the Dragon spacecraft, which was flown into orbit by the Falcon 9 launch vehicle to supply the International Space Station with cargo. Clearly, Musk thinks big. Next up on his agenda is how to tackle a colonization on Mars. Charles Moldow, a general partner at Foundation Capital, said on his company's website that investors today are less interested in transformative companies that are created to solve big problems and instead favor companies that make "trendy" products like phone apps. "If my tenure at Foundation Capital has taught me anything, it's that investing in truly meaningful companies pays off," he said. "There are start-ups with world-changing ideas out there. And discovering what they are -- and bringing their ideas to life -- will require each of us to slow down and devote some time to big thinking." Musk told the California Public Utilities Commission last year that there would be some hardship going forward for existing utility companies, particularly those heavily into fossil fuels. "But we have no choice," he said. According to one report, as much as 80% of the world's energy comes from fossil fuels. Because they are a finite resource, they are unsustainable. Individuals can seek to invest in sustainable energy companies that increase energy security, reduce carbon emissions and improve air quality. Some examples are Tesla Motors, Enphase Energy and First Solar. Musk and two organizations gave artificial intelligence researchers $7 million to explore the ramifications that could arise from machines and robots operating independently in society, such as self-driving cars. Musk and others are concerned that artificial intelligence, in which machines mimic human behavior and make decisions, could lead to unforeseen consequences down the road for humanity. Artificial intelligence is an area that is important to Musk, so he invests in it. How can investors think outside the box? By contrarian investing. It's an investment style that goes against prevailing market trends. Investors buy assets that are performing poorly and then sell them when they perform well. The most famous contrarian investor is Warren Buffett. Musk, like other billionaires including Mark Cuban, embraces start-ups. In fact, that's how Musk got his start. In 1995, he created Zip2, a web software company that provided business directories and maps to media companies and local e-commerce merchants. It was bought by Compaq in 1991 for $307 million. Investors interested in start-ups should visit websites such as www.AngelList.com to find companies in which to invest. Many high-profile start-ups, including Uber, are featured on that site.